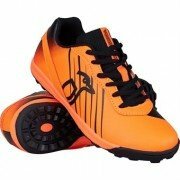 Kookaburra Hockey shoes are an ideal hockey shoe if you're after a pair of footwear that won't let you down but are working within a budget. The 2017/18 range features traditional Kookaburra designs with the same technological enhancements that have made previous Kookaburra hockey shoes ranges a success. 2017/18 Kookaburra Enigma II Hockey Shoes, with modified Kookaburra ‘cage’ technology offering essential mid-foot support. 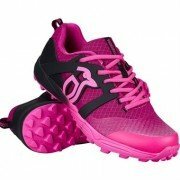 2017/18 Kookaburra Flare Hockey Shoes, with an advanced EVA mid sole for superior shock absorption. 2017/18 Kookaburra Neptune Hockey Shoes, with an acclaimed hockey specific outsole to provide superb traction. 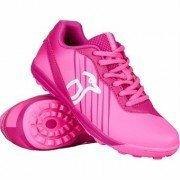 We also stock Kookaburra Junior Hockey shoes, Enigma and Illusion.